This is a genuine AAM rear differential Pinion support that fits GM trucks 1988 and newer. 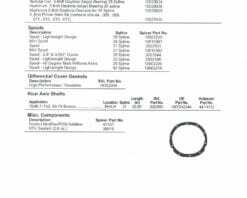 This can be used on older trucks with the 10.5 14 bolt as long as you use the later pinion bearings and crush sleeve. 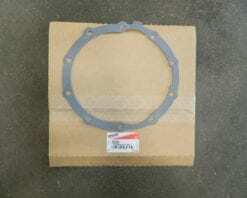 This is a genuine Dana/Spicer performance gasket for a 9″ Ford dropout 3rd member. These have a steel core with a gasket material coating, and are designed to be reused. This is a genuine Dana/Spicer Daytona pinion support for a 9″ Ford 3rd member. This is an aluminum pinion support. 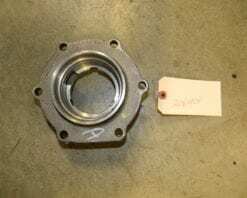 This is a genuine Dana/Spicer Daytona pinion support for a 9″ Ford 3rd member with a 35 spline pinion. This is an aluminum pinion support. This is a genuine Dana/Spicer Daytona pinion support for a 9″ Ford 3rd member. This is nodular iron pinion support.